Wizards dig in defensively, beat Pistons 98-86. The Wizards beat the Pistons 98-86 holding a second straight opponent under 100 points for the second night in a row. 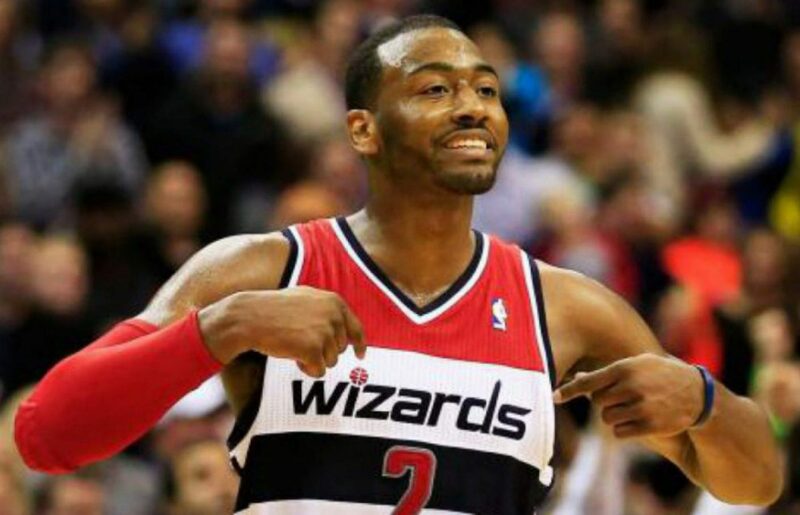 Once again, John Wall flirted with a triple-double with 22 points, eight rebounds, and eight assists. Beal scored 17 points off the bench in just 26 minutes of play and Marcin Gortat chipped in with 15. The Wizards jumped out on the Pistons early. A 7-0 run in the middle of the first quarter allowed the Wizards to enjoy a comfortable 29-15 lead after one quarter. The bench was terrific tonight scoring 38 points. Beal and Sessions led the charge in the second quarter with terrific shooting allowing the Wizards to stretch the lead out to 16, 36-20 just minutes into the second quarter. The Pistons made it interesting cutting the lead to five on a layup from newly acquired Tobias Harris but the Wizards would answer with a 9-0 run taking a 55-40 lead into the break. Markieff Morris scored his first field goal as a Wizard on a baseline jumper. Morris was ok tonight scoring six points on 2-8 shooting. It was clear that Morris was probably a little jittery as his first game with his new team was against his brother. Regardless, we got a glimpse of what the big man has to offer. Bradley Beal hit a couple of nice jump shots to start the fourth quarter including a leaner off the glass as the shot clock expired. John Wall followed that up with an elbow jumper to stretch this lead to 18, 94-76 as the Wizards would empty the bench and cruise to a 98-86 victory. Wizards dig in defensively: In back-to-back games, the Wizards hold an opponent under 100 points, this time limiting Detroit to just 86. Detroit shot 43 percent from the field and was just 30 percent from long range. Most importantly, the Wizards outrebounded Detroit and held them to just six offensive rebounds. Detroit is the best offensive rebounding team in the league so that is no small feat. Shout out to Marcin Gortat who played very well against Andre Drummond and did not allow him a single offensive rebound. Bradley Beal continues to shine in his role off the bench: Beal went 7-10 from the field tonight for 17 points in just 26 minutes of play. Since he broke his nose, Beal has been a different player. He’s become extremely effective and must be now that he has a minute restriction. Beal went 2-4 from three-point range but still continues to struggle from the charity stripe where he was 1-3 tonight. Can’t believe I’m saying this but it may not be such a terrible idea to continue bringing Beal off the bench for the rest of the season.